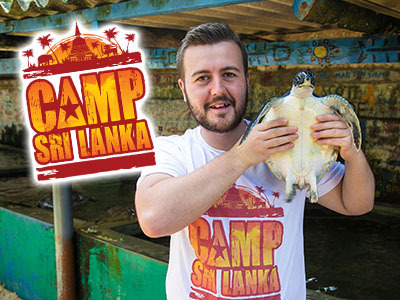 Looking to Take Part in the Ultimate ‘Behind-The-Scenes’ Wildlife Experience? Are you studying animal conservation? Looking to extend your Camp South Africa coaching experience? Or do you just really want to do your bit in helping to care for some of the most incredible animals on the planet? Here at Camp South Africa, we can help make that happen by taking you to the world’s leading Safari and Game Reserve. Camp South Africa are offering the ultimate Conservation Experience for volunteers, gap-year students, those on a career break or the ultimate adventure seekers who are looking to come and join a team of dedicated individuals passionate about nature and all it has to offer at a world-renowned Safari and Game Reserve; the pioneer and leader in demonstrating how the conservation of wildlife, fauna and ora can be achieved through responsible tourism. What Will Your Experience Involve? Your experience is diverse and structured, yet not pre-scheduled as a result of the nature of working in and around wildlife. Conditions change daily and so you may not know until the day what you could be working on! The game reserve is home to all of Africa’s Big Five animals (the lion, the African Elephant, the Buffalo, the Leopard and the Rhino!) as well as many others. Tasks may vary from physical work to interesting and interactive lecture based content. Your main duties will revolve around the maintenance of the reserve. Visits and tasks at the on-site welfare Foundation, Big Cat Rescue and Education Centre and Animal Rehabilitation Centre are undertaken according to the requirements to manage and host the big cats and other animals deemed to have chance of being saved, rehabilitated and released back into the wild. Operations run from approximately 8am to 5pm, Monday to Friday. Evenings are yours to relax and get to know all of your new friends who are also joining you on the experience. There may be a need for early morning or late night activities dependent on the tasks at hand. Weekends are available to enjoy at your leisure! We can advise on a range of local adventure and leisure activities. These range from cultural tours to adventure activities which include canoeing, quad biking and horseback beach rides. The beautiful City of Port Elizabeth is just a short drive away and boasts one of the most beautiful shorelines in all of South Africa. Why not try your hand at surfing? Or really step outside your comfort zone and do a Skydive, or even better, get up close and personal with the Great White Shark during a Shark Cage Dive! If you prefer, you can choose to spend the weekend relaxing on site, relishing in the peace and tranquility that living on a game reserve has to offer. The purpose built guest centre and other facilities are situated both in close proximity to and on the main reserve. The main facility is an area locally known as Pote, which is on the wildlife breeding area of the reserve. General game including zebra, kudu and waterbuck can be found along with buffalo on the adjoining property. The reserve is malaria free. Full involvement in the day to day operational requirements needed to manage the game reserve and its vast resources, helping to develop personal specialized skills and knowledge in conservation. Exposure to various short and long term conservation projects, guided by qualified and experienced coordinators to help maximize your experience. Involvement in environmental education with a largely impoverished local community and partaking in sporting interactions to improve the lives of those living in and around the reserve. Want to win a FREE place? Sign up to our mailing list for news, offers and updates. We pick a winner to go to Camp South Africa for FREE each month!